28 Feb WE HAVE NEWS, AND NEED YOUR VOTES. 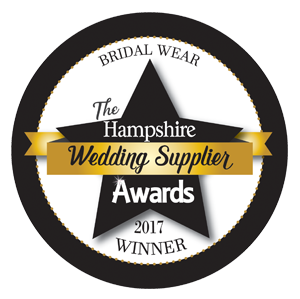 We have found out today,28/2/2012 and very excited about this, that we have been nominated in The Bridal Magazine Awards for Bridal Wear of the year. We would love to bring this award back to Southsea. All you need to do is to follow the link and register your name and vote for us , we are also very excited that in the accessories section Tatrums and Tiaras are nominated also our dear friend Julie Tooby, Essentually You have been shortlisted in the Planner section, so please give them a vote to. heres the link http://www.thebridalmag.co.uk/awardsshortlist.aspx copy and paste and look in the awards section. we look forward to keeping you informed with the progress. ONE WEEK ONLY TO VOTE. so get voting. Thankyou for all your support and we look forward to letting you all know what happens.